Sign up for free and just shop with BoohooMAN as normal. Our average member earns over £300 cashback a year. BoohooMAN cashback can be earned simply by clicking through to the merchant and shopping as normal. BoohooMAN Cashback is available through TopCashback on genuine, tracked transactions completed immediately and wholly online. The latest menswear styles can be found at boohooMAN, where you will discover on-trend clothing, footwear and accessories. If you want to keep up with the latest trends, you can view new arrivals, or to get yourself a bit of a bargain, you can search their boohooMAN sale section. Their men's clothing range includes everything from hoodies, jumpers and joggers to shorts, shirts and swimwear, while you will also find tailoring, activewear and loungewear. BoohooMAN also offer clothing for boys, while you can save yourself some money with multi packs or take a look at their big & tall range. If you are in need of something to complete a look, you can buy yourself some new shoes, boots or trainers, while their accessories selection features bags, sunglasses, jewellery and more. Whatever you are thinking of buying, make sure you check out our boohooMAN discount code deals - if available - and cashback offers by signing up to TopCashback using the form you will find further down this page. You will discover many collections on the boohooMAN website, whether you are shopping for essentials, summer staples or something a bit special if you have an event to go to. The boohooMAN by French Montana range has been co-designed by the hip-hop artist and brings together bold colours and vibrant prints, while the MAN collection offers casual wear and essentials. Browse a tailoring range which features slim fit and skinny suits, a Disney collection and pastels. You will find various shops to look through too, including a basics and holiday shop, while you can also easily find basics, nightwear and denim clothing. Easily navigate to the season's hottest trends via the Collections section of the website, while you will also discover fit guides which will help ensure you buy the right size. boohooMAN was born out of boohoo.com and was designed to bring something fresh to the menswear market. By allowing shoppers to get the latest in cutting edge design without having to break the bank, the aim was to make it easier for people to get their hands on the latest styles of men's fashion. 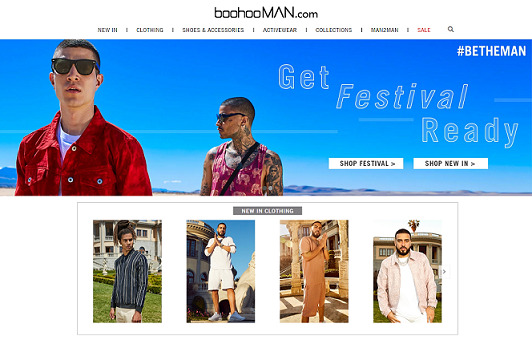 BoohooMAN is now a global online clothing retailer offering thousands of men's styles. 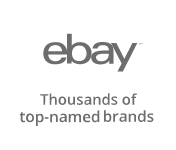 Whether you are looking for T-shirts, coats, knitwear, jeans, footwear or accessories, you are sure to find something which suits your personal style. With plenty of new items arriving each week, you should keep checking the boohooMAN website to discover the latest looks. Whether you are searching for the latest trend and lifestyle news, or just want to get your hands on the most popular styles, boohooMAN have you covered 24 hours, seven days a week. If you want to save yourself some money on delivery costs, sign up to boohooMAN Premium and you will get unlimited free next day delivery for 12 months. In order for you to be able to take advantage of this service, you will need to have registered for an account and be logged in to select boohooMAN Premier. It is available for delivery to UK addresses (postcode restrictions apply), while the service may take 3-5 working days in some more remote areas. Once you take out an annual subscription, you can use boohooMAN Premier as many times as you like within the 12 months, though you must remember to place your order in accordance with their next day delivery timescales. Download the boohooMAN app on your iOS or Android device from the App Store or Google Play and you will be able to get the latest gear for less due to the fact you will be among the first to receive exclusive deals for on-trend pieces. Also, with plenty of new styles added to the collection on a daily basis, you will be able to view new arrivals no matter where you are. Shop the entire boohooMAN collection from the palm of your hand and use the fast checkout if you are shopping on the move, while if you spot something on the app that you want to buy later, it will allow you to add it to your wish list so you will not forget about it. Browse thousands of styles across menswear at BoohooMAN, stay ahead of the trends and earn cashback when you buy with these hot deals. Their men's clothing range includes everything from T-shirts, jumpers and jackets to jeans, shorts and loungewear. Buy footwear for any occasion, from brogues, chukka boots and loafers to plimsolls, sandals and trainers, while if you are looking for accessories, you will discover bags, jewellery, socks and more to complete your look. Search collections such as Urban Sport, Utility, Nautical and Holiday Shop, while you will find deals offering up to 75% off in the BoohooMAN sale section. 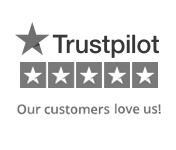 They offer saver, next day, Saturday and Sunday delivery options, as well as free returns.